Do you want to get the perfect gift for yourself, a friend, or even a complete stranger? 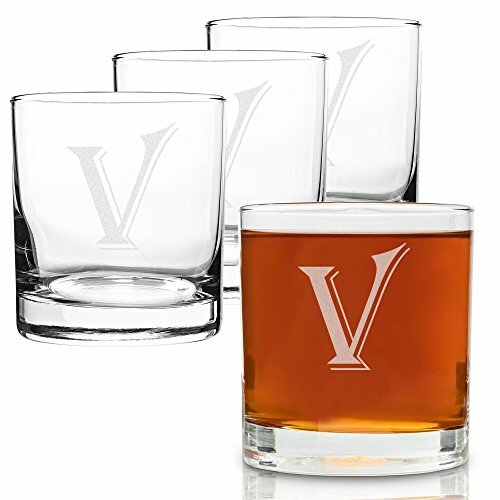 Search no further than a 4-Piece Monogrammed rocks glass set with the letter of your choice. These 11 ounce heavy base rocks glasses will make a perfect set for entertaining guests or having a nice dinner. If you are ready for an amazing 4-Piece set of rocks glasses and an excellent experience, click "ADD TO CART" and let the fun begin! 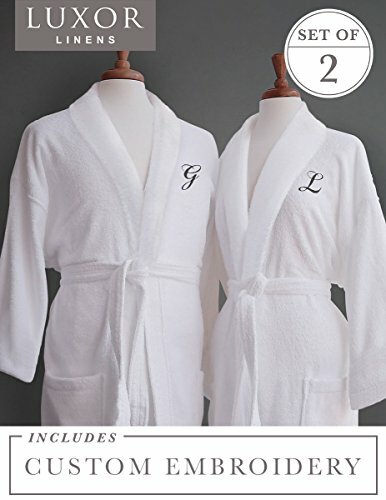 Our luxury terry cloth bathrobe set is the perfect bathrobe for any household. We make our robes from 100% Egyptian cotton and every robe meets our high quality standards. This cotton allows the robe to keep you cool in the summer and warm in the winter! Luxor Linens can create personalized bathrobes with your initials monogrammed for the perfect touch! 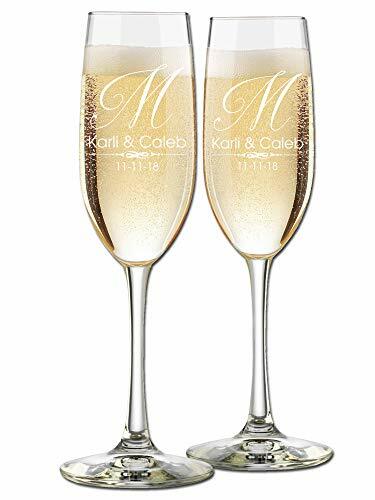 This set is a welcome addition to any household and makes a great gift for any couple! Simply stunning! 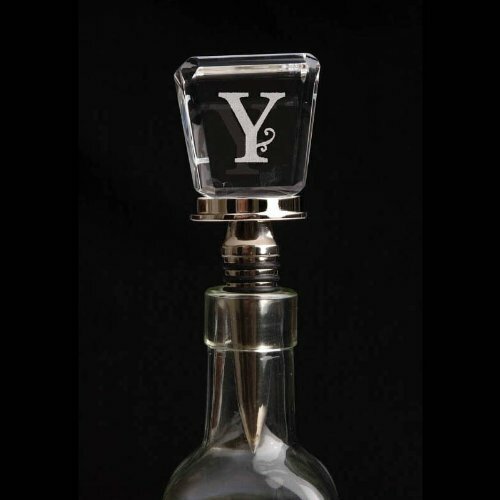 These laser-cut monogrammed winestoppers are eye-catching, stylish, and impressive. An elegant end to an evening of conversation, wine, and friends. 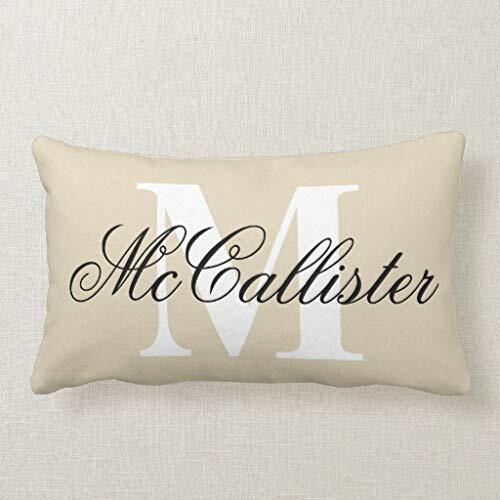 Also makes the perfect gift for weddings, anniversaries, or general gifts. 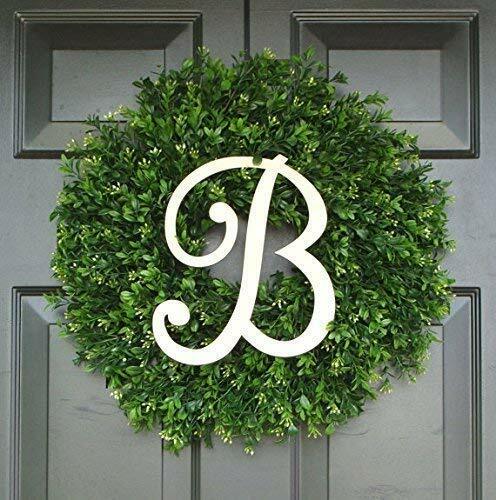 One of the most popular monogrammed items today! 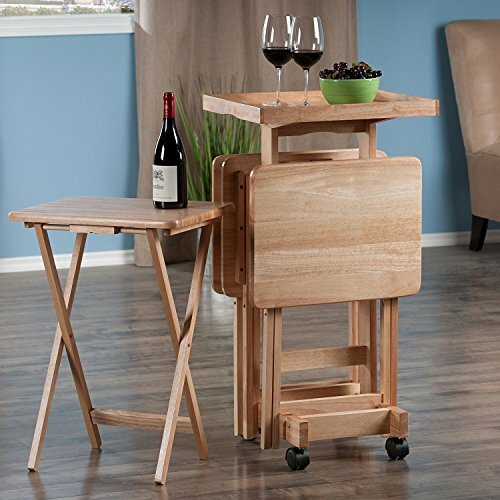 The perfect mix of style and function, the 6-Piece Snack Tray Table Set makes entertaining and everyday living easier. The convenient set comes with 4 trays, a matching stand and a removable wood serving tray that provides extra table top space. This incredible bundle also includes 2 customizable drink coasters to protect your new tray tables. Choose your color and your personalization. Dimensions Each table measures 19" W x 14.5" L x 26" H (opened) Serving tray measures 19.7" W x 14.2" L x 1.06" H Stand measures 12" W x 15.9" L x 35" H. The digital images we display have the most accurate color possible. However, due to differences in computer monitors, we cannot be responsible for variations in color between the actual product and your screen. Please be sure to check all spellings and customizations prior to finalizing your order. If you notice an error or misspelling, please contact Etch Workz immediately for correction. 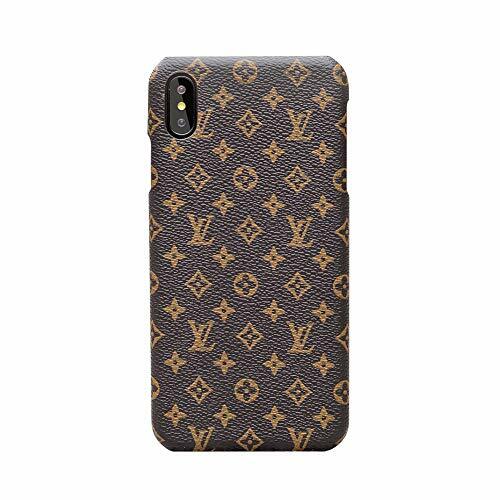 All customized and engraved products are not eligible for return and/or refund. However, we do offer a FREE REPLACEMENT POLICY. If there is an error in the configuration, inscription or design due to an error by Etch Workz, we will gladly send you a replacement at no additional cost. Misspellings and errors on the part of the Buyer do not qualify for free replacement. If your order has been damaged during shipping, please notify Etch Workz immediately. Elegant and Beautiful. 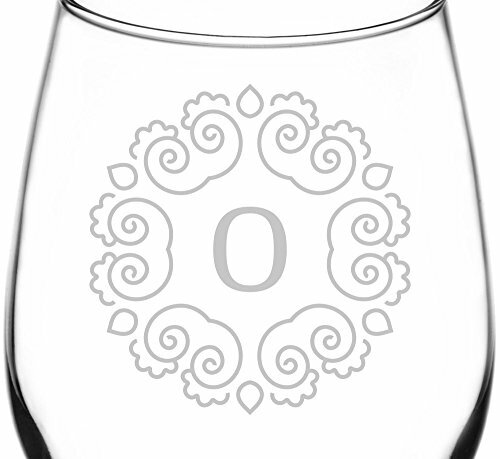 The Libbey Vina 8552 Wine Taster Glass is sure to impress! Perfect for any occasion, this glass is the perfect balance between sophistication and style.Coming in at just a little over 7 ½ inches tall and holding 12 ¾ ounces of liquid, this little companion is an excellent match for red or white wine lovers.Not only for drinking but decoration as well, our quality laser etching process ensures a superior etch that is practical and dishwasher safe. Make no mistake! 100% satisfaction guaranteed or your money back!Whether you are buying as a gift or for yourself, we want to welcome you in supporting the American Dream by offering you our very best.Quality, value, and pride go into every glass to ensure the best possible experience. 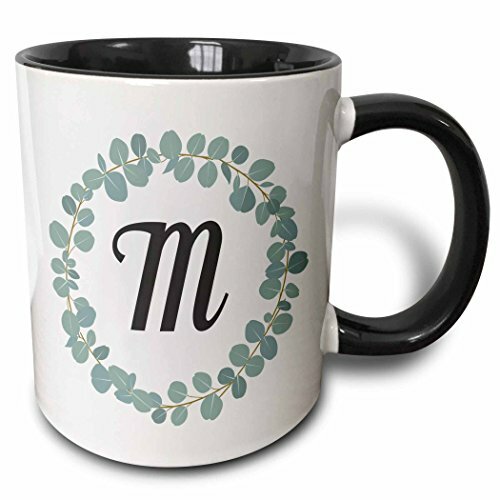 Letter M Monogram Eucalyptus Leaves Wreath Elegant Greenery Mug is available in both 11 oz and 15 oz. Why drink out of an ordinary mug when a custom printed mug is so much cooler? This ceramic mug is lead free, microwave safe and FDA approved. Image is printed on both sides. Hand washing is recommended. ELEGANT BALLY MONOGRAM BAGUETTE HANDBAG MADE IN SWITZERLAND EXCELLENT CONDITION!